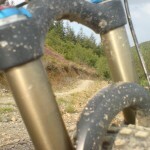 1 Comment posted on "Last of the Summer Rides – great biking trip to Brechfa, Wales"
hello oliver i thought your website was looking a bit comment-less. i googled you because i am super bored and out of mobile phone range and reading your blog is like having a very one sided conversation with you. hope you are well. love from your sister.